Turn your photos into beautiful art with this self-paced class by Linda Sattgast. 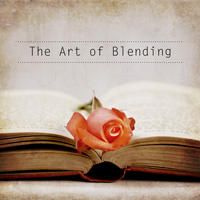 Learn more about the Art of Blending Class! Blend modes in Photoshop Elements can give an ordinary photo, or even a less than inspiring photo, an artistic look. But before you can create more advanced blending effects like this, you must know the basics of blending, so that’s what this video is all about. According to Adobe: “A layer’s blending mode determines how its pixels blend with underlying pixels in the image.” Let me demonstrate what that means. Blending happens in the Layers panel. If you don’t see the Layers panel, make sure you’re in the Expert Mode. In the Menu Bar, choose Window > Layers. All photos in their original state have only one layer. But you must have at least two layers to blend. If you have only one layer, the Blend Mode menu at the top of the Layers panel will be grayed out and unavailable. If you create another layer by duplicating the original layer, the Blend Mode menu becomes available. To duplicate a layer, in the Menu Bar choose Layer > Duplicate Layer, and click OK to the dialog box. Open the Blend Mode menu and choose a blend mode. Each blending mode does a specific kind of blend: The selected layer will blend with the layer or layers below and create a new look. Sometimes you’ll like the look, and sometimes you won’t. In my example, Multiply made my image too dark, and Soft Light gave it more contrast, which made my photo look better. Adjust the opacity of the layer that has the blend mode to control the amount of effect it has. For my photo, I reduced the opacity to around 65%. Blending a photo with itself is something I do frequently to improve the look of the photo, but you can also blend a photo with other images. For example, I like to take photos of textures and blend them with other photos. The texture photo I used in the video was of a tile. From the Photo Bin, click and drag the texture image onto your photo. If you need to resize the texture, press Ctrl T (Mac: Cmd T) to get Transform options. Click and drag from any of the handles to resize the texture to fit. It’s not as important as it is for regular photos to keep a texture perfectly proportional. Change the blend mode of the texture to create an artistic look. I used Overlay with my texture. You can use a keyboard shortcut to help you quickly decide on the right blend mode. In the Tool Bar, get the Move tool, or simply press the letter V which is the keyboard shortcut for the Move tool. Press and hold the Shift key while pressing the plus or minus key to toggle through the blend modes. This allows you to see which blend modes might work well with your photo. When you’re finished, open the Blend Mode menu and choose the one you like the best. Reduce the opacity of the blended layer, if the effect is too strong. Remember that every photo is different, so the look you get on your photo will vary from what I got on my photo. Some tools have their own blending menu in Tool Options. If you use the blend mode shortcut with a tool that has a blend mode menu, it will change the blending mode on the tool, and it won’t change the blend mode on the Layers panel. The Brush tool, for example, has a blending menu. Other tools do as well, so play it safe by always choosing the Move tool, which doesn’t have a blending menu. That way you can be sure that the blending shortcut will apply only to the Layers panel blending menu. Windows has one additional way to toggle through the blend modes. Click on the blend mode menu to open it, and click again to close it. This makes the menu active. When you want to deactivate the blending menu, press Enter or click somewhere else on your document or on the program.